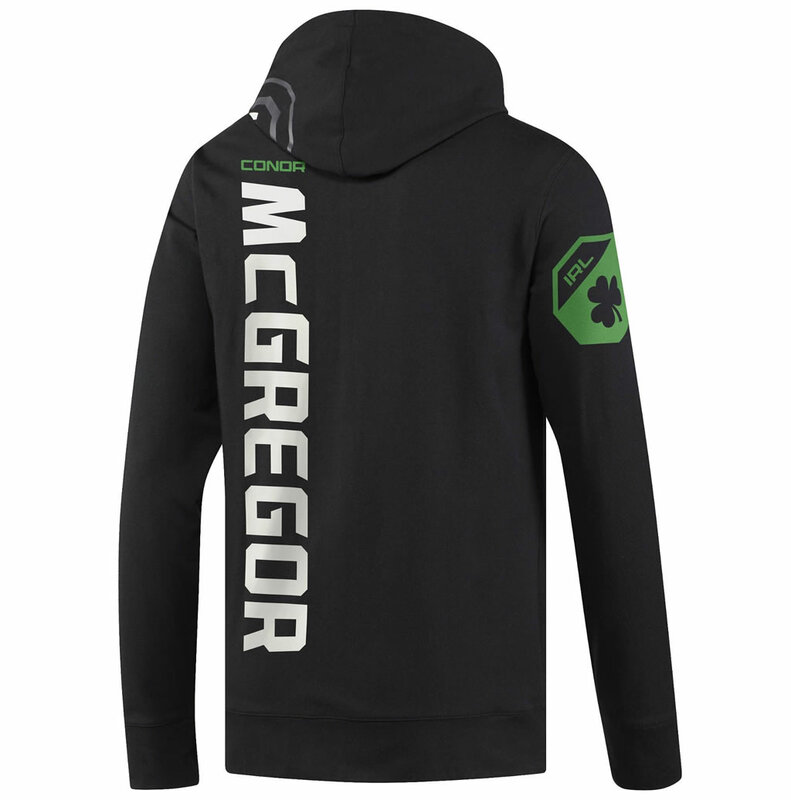 The Fight Night Conor McGregor Champ is a stylish Reebok UFC hoodie, especially if you’re looking for a comfortable and practical apparel piece. 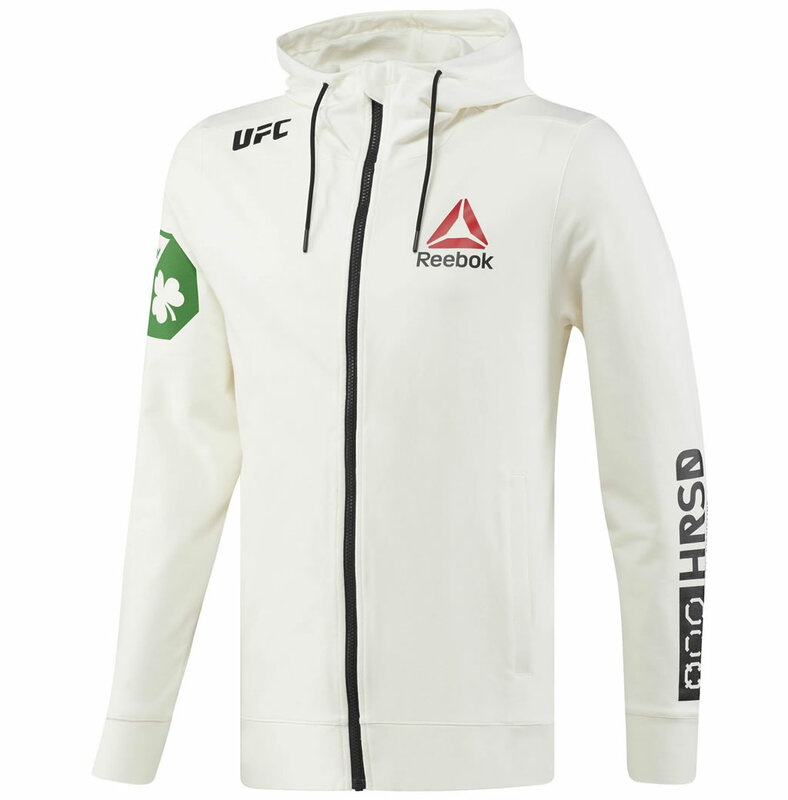 It was created using a combination of 95% cotton and 5% elastane, and it boasts the Reebok logo printed on the front left chest, as well as UFC printed on the right shoulder. 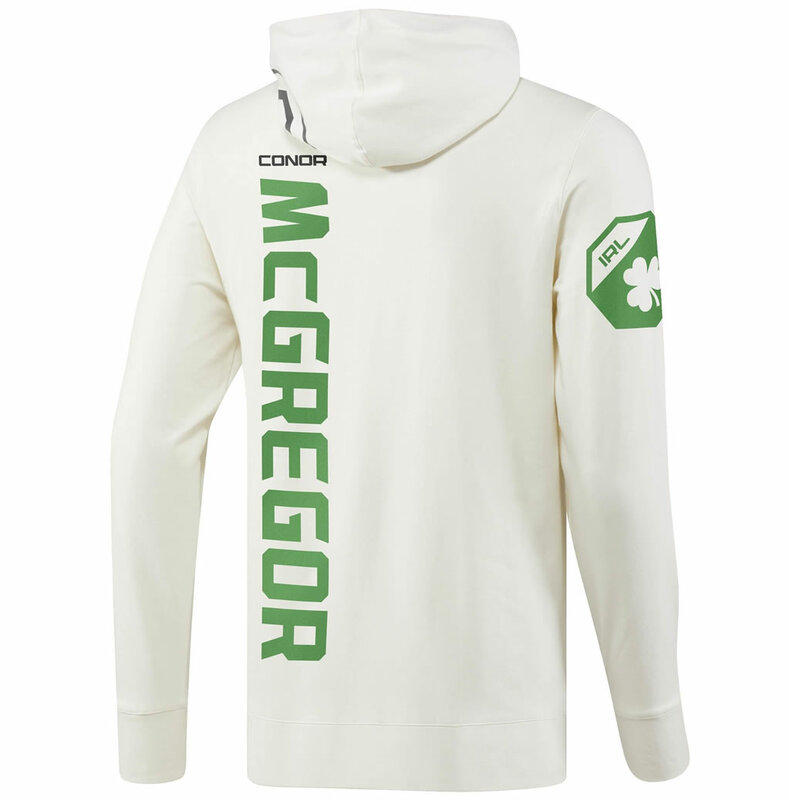 But what really makes it stand out is the IRL with a Cloverleaf on its left sleeve and the large Conor McGregor logo, which is printed on the down back of the hood for an extra touch of originality. 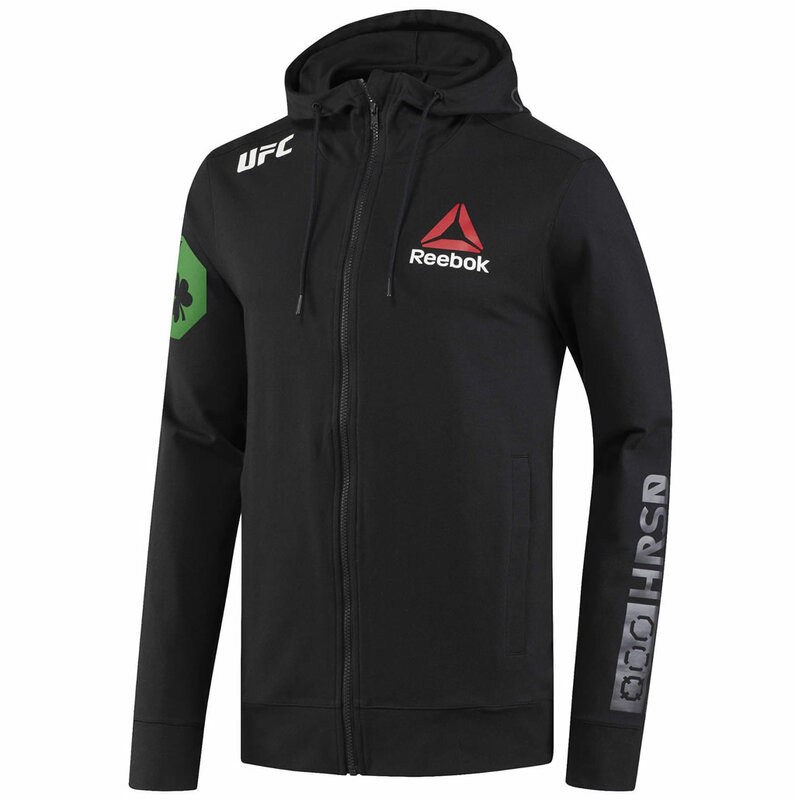 A slim fit is also part of the deal, as is the hood with drawcord for adjustable warmth. We should also mention the flat-lock seams that enhance durability and provide a plus of comfort. Flaunting an eye-catching design, this men’s UFC Fight Night Conor McGregor Champ Walkout Hoodie is great for everyday wear or sports training sessions.